O’ Conner was very influenced by Irish American sculptor Augustus Saint Gaudens where he uses the human shape to exlore values , emotions and ideals. We see this clearly in the Eire sculpture and alot of O’Connors work is a departure from the Irish tradition of stone carved, church sponsored works. 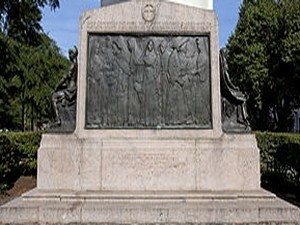 O’ Connor is a recognized world class sculptor and where he is also well known for his best known work his Nuns of the Battlefield where over six hundreds nuns nursed soldiers of of both armies during the American Civil War. 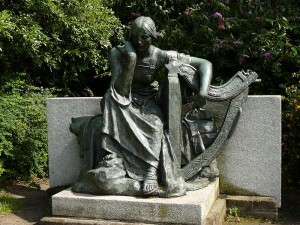 O’Connor moved back to Ireland from the United States in 1925 and moved to Dublin and in 1926 he was contacted by Roycroft to design and cast a statue of Elbert Hubbard who, with his wife Alice, who had perished in the sinking of the Lusitania. The Elbert Hubbard statute was unveiled in 1930 and today and can be seen on the East Aurora’s Middle School lawns across from the Roycroft Chapel building. Jerome O’ Connor unveiled a beautiful statue of Bishop John Carroll who was born in Donegal . Bishop Carroll served as the first bishop and archbishop in the United States. 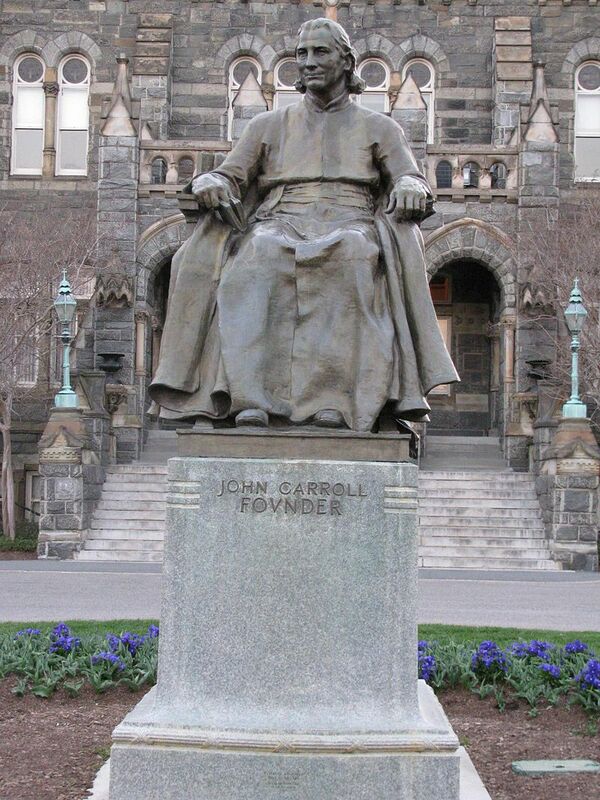 He was a prelate of the Catholic Church and was instrumental in the founding and development of Georgetown University. Jerome O’ Connor moved back to Ireland in 1925 , opened his own studio, but his work began to slow due to lack of support and patrons. He died on in 1943 of heart failure.